We stock a large selection of full thickness building stone and if we don’t have what you are looking for we can find it! Stone conveys beauty, character and solidity. Its variations in color, pattern, and texture provide unique visual impact; and because it comes from the earth, its eco-friendly composition makes stone a natural design choice. 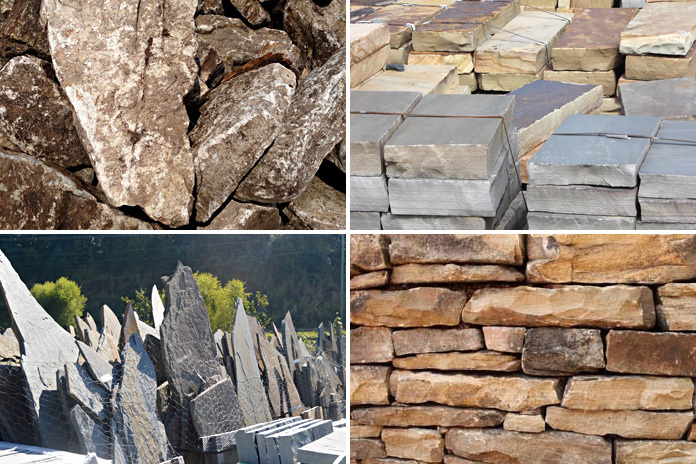 Here at French Broad Stone Supply we have a huge selection of rock and stone for your next project. Our relationships with area quarries and daily deliveries to both locations ensure that we are one of western NC’s premiere stone suppliers, stocking local rock at affordable prices! We stock a large selection of full thickness natural building stone. Additionally, we are proud to display our exclusive, in-house brand of natural thin veneer, Tru-Cut! With over 80 styles to choose from, you are sure to find the perfect blend of beautiful, natural and sustainable stone for your home!